G’day Casino, as the name suggests, is themed around all things Australiana. Aussie punters will feel right at home playing at this leading online casino, which features a solid catalogue of games from the best software developers in the business including Net Entertainment, BetSoft, Thunderkick, Leander and Ezugi. Powered by White Hat Gaming and licensed by the Curacao e-Gaming Commission, G’day Casino offers a comprehensive and trustworthy venue to play a large range of real money casino games in the one safe space. Forget having to download any software to your computer to access G’day’s game collection – games can be played in instant-play mode directly over your web browser using Chrome, Safari, Explorer, Edge or Firefox. This browser based format means it doesn’t matter if you’re operating a PC or Mac, or whether you have any space left on your hard drive, simply click to load and play games just like you were browsing any other website. Your computer will need to have relevant Java or Flash software installed, which can be obtained for free if your software isn’t already up to date. G’day Casino offers one of the biggest welcome bonuses going around, where the venue will match your first real money deposit by 100% up to an unlimited amount. This means if you deposit $500, G’day will match it by $500, giving you a total of $1000 of real money to play with, and so on. You’ll also receive 50 free spins to use on a selected popular pokies game. If you like what you see and move on to deposit again, you’ll receive a 25% matched deposit bonus up to $500 on your second deposit, and a 50% matched deposit bonus up to $500 on your third deposit. In addition, if your first deposit is more than $100, G’day will send you a free carton of beer for your troubles, so you can kick back with a frosty brew while sampling your way through this massive game collection. It’s true-blue Aussie hospitality at its absolute finest! On top of the welcome package, there are ongoing promotions available throughout the week, such as the Monday Blues Buster, Mystery Bonus Must Have Tuesday, Break the Bank Wednesdays, Tremendous Thursdays, Weekend Cash Matches and the Wednesday Facebook Draw. Check the promotions page at G’day Casino for full details of these promos, and any other new offers as they appear. Pokies – classic pokies, video pokies, 3D pokies, three-reel & five-reel pokies, progressive jackpot pokies and All-Ways pokies, with popular titles including Starburst, Game of Thrones, Dracula, Guns N Roses, Hooks Heroes, Gonzo’s Quest, Blood Suckers, Rooks Revenge, Mr Vegas, South Park Reel Chaos and Aliens. Blackjack – Blackjack Classic, Blackjack Pro, Double Exposure Blackjack Pro, Single Blackjack Pro, Pontoon Pro, Super 7 Blackjack, American Blackjack, 21 Burn Blackjack, European Blackjack, Players Choice Blackjack. Roulette – American Roulette, European Roulette, French Roulette, Roulette Pro, Zoom Roulette, Roulette Advanced, VIP American Roulette, VIP European Roulette. Table games – Baccarat, Baccarat Pro, Caribbean Stud Poker, Casino Hold’em Poker, Craps, Oasis Poker Pro, Pai Gow, Odd One In, Punto Banco, Red Dog, Sharp Shooter, Draw Hi Lo, Six Shooter, Three Card Rummy, Top Card Trumps, Triple Edge Poker. Virtual sports – Virtual Legends, Virtual Euros, Virtual Soccer, Virtual World Cup, Virtual Rugby, Virtual Touchdown, Virtual African Club. Live dealer games – Live Blackjack, Live Roulette, Live Keno, Live Common Draw Blackjack, Live Lottery, Live Baccarat, Live Automatic Roulette. Just like the full desktop site, G’day’s mobile casino can be accessed for instant-play directly over your mobile web browser. 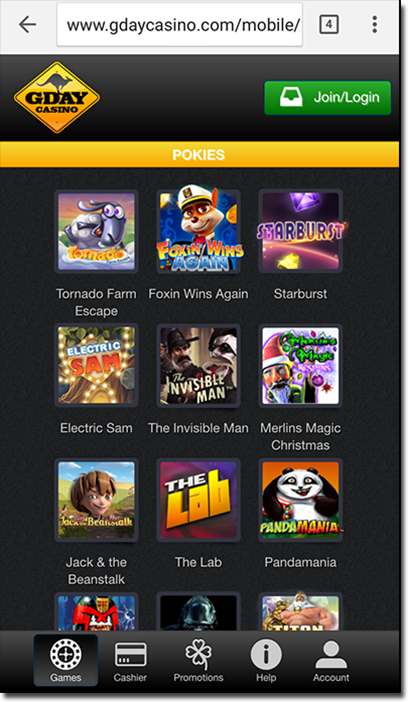 The browser based format means games can be accessed on both Apple and Android operating systems, making G’day Casino ideal for iPhone, iPad, Samsung Galaxy, Windows Phone and other Android powered smartphones and tablets. The mobile site is mostly dedicated to the pokies, but there’s also a decent selection of mobile table games available including Mobile Blackjack, Royal Roulette, American Blackjack, European Roulette, American Poker and Magic Poker. Live dealer games aren’t available for mobile play. 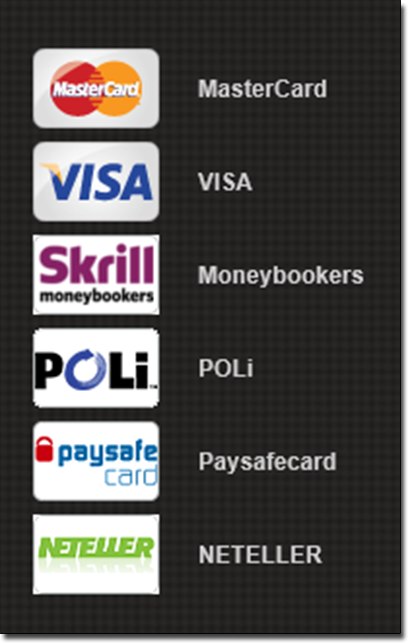 Enter your payment details and funds will be transferred to your account immediately, along with any bonus money. All payments processed through G’day Casino are protected by 128 Bit Secure Socket Layer (SSL) encryption technology to ensure your payment details won’t fall into the wrong hands. If you encounter an issue while playing at G’day, just hit the ‘support’ tab at the top of the game lobby and you’ll find contact details for the 24/7 customer support centre. There’s a live chat option, or you can choose to create a ticket where you can provide all the details of your query and one of the customer support staff will get back to you. Alternatively, you can email your query directly to [email protected] The FAQ section is very sparse, but might help you if you have a generic question. What’s not to love about a casino that welcomes you with a slab of beer? Seriously. This fair dinkum’ welcome bonus aside, G’day Casino offers one of the best collections of multi-provider real money casino games you’ll find anywhere on the Internet. 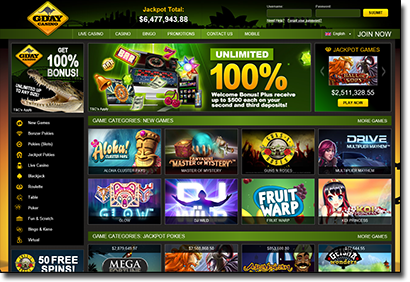 The site layout may not be as user friendly or aesthetically pleasing as casinos like Guts online casino, but what G’day lacks in design it sure makes up for in game variety, promotional offers and reliability. 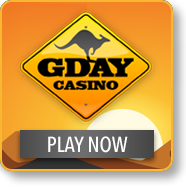 G’day Casino gets two big thumbs up from us and is highly recommended for Aussie punters. Sign up for an account at G’day Casino to claim your 100% unlimited matched deposit bonus and free carton of beer.